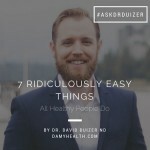 Welcome to our next edition of #AskDrDuizer. Today David and I have decided it is time to cover a topic we get asked about all the time – Omegas! 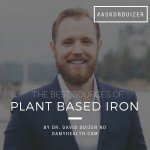 Below Dr. Duizer has covered the most common questions about omegas, where they come from and why they should be taken in the form of supplementation/diet or not. Enjoy his basic guide to omegas! If you have any questions for Dr. Duizer you can ask them in the comments section below. 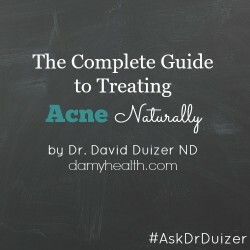 Thank you Laura for submitting your #AskDrDuizer question! 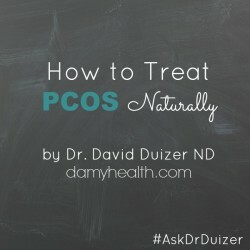 #AskDrDuizer – Do I need to take omegas? If so, which ones? 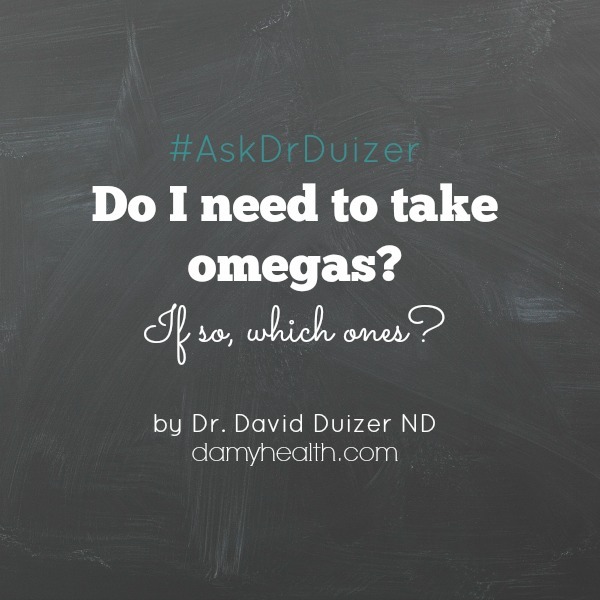 In this edition of #AskDrDuizer I talk about the difference between omega content in fish oil, flax and evening primrose and which one (omega 3 or 6 is needed for your concerns). You may be taking the wrong one for your medical concerns/general health. Now is the time to figure out what you need and I’m here to help. I have decided it is time to answer one of my most asked questions. This comes up a lot. It is one you all may have asked your doctor about, googled or debated with your friends. If you have considered taking omega 3s, have tried them before or have been recommended them you are not alone. They are a wonderful molecule with great health benefits! Continue reading for the details. Whether or not to take omegas is a question that is incredibly common and the answer can be tricky to understand. Have you ever wondered about what the healthiest fats and oils were? Have you ever considered taking fish oil, flax, evening primrose, krill, salmon? How about eggs that are labeled to have higher omega 3 content? Have you ever heard how good ground flax is for you? Do you wonder how to reach the perfect ratio of omega 3 to omega 6? Now is your time to have all of your questions answered. In this simple article I cover these main questions, break down the healthy fats in these common foods and supplements and give some direction as to which ones you should focus on and why. Read it over, take it in and if you have any questions be sure to ask them in the comments below. 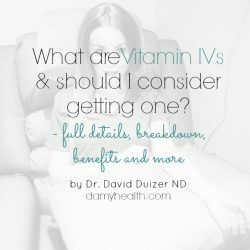 Also, feel free to share your experiences with taking any of the supplements or foods mentioned in the post. We love hearing from you and I’m sure your story may resonate with our readers! The omegas we see at the supplement store, hear about on television and consider taking for general health are what is called “unsaturated fatty acids”. You may have heard of how trans fats and saturated fats are bad for your health. Omegas fall into the third category. The unsaturated category. The number 3, 6 and 9 comes from the differences in molecular structure of the molecule and gives the molecules their different actions in the body. The final label necessary for this article is the acronym EFA or essential fatty acid. These are the fatty acids our bodies need but cannot make. The main EFAs are Linoleic acid (Omega 6) and Alpha linolenic acid (ALA – Omega 3). After consumption of ALA the body then needs to convert it to Eicosapentaenoic acid (EPA) and Docosahexaenoic acid (DHA) which are also considered omega 3 fatty acids. They are the most active form of omega 3 and will be the topic a conversation below when I address the best sources of omega 3. If you search the web for omega 3 info you are going to find out very quickly that the “Standard American Diet” is a diet high in omega 6 and low in omega 3 in comparison to the diet our ancestors ate and the diet that guided our evolution. This is where the surge in omega 3 info came from. This is why researchers needed to look deeper in to what this might be doing to us. As scientists began to investigate deeper they found that this imbalance may be associated with our high levels of systemic inflammation, inflammatory conditions, cardiovascular disease, joint problems, skin conditions, hormone imbalances, etc. And so the research began. What did it find? Simply put – A high ratio of omega 6 to omega 3 means higher levels of arachadonic acid (an omega 6 fatty acid – causing inflammation) and lower levels of DHA and EPA (omega 3 – anti-inflammatory molecules). DHA and EPA are the key. Levels of DHA and EPA are now the key constituents being investigated in omega research. 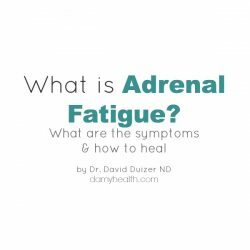 Their levels are now guides for omega 3 dosing levels by Naturopathic Doctors. How DHA and EPA act intermolecularly, how they impact our cells and their role in healing is beyond the scientific scope of this article. My main focus is their role as anti-inflammatories, how we are changing our physiology through diet and how this new physiology is leading to disease. 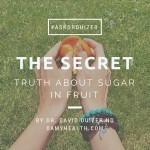 It is my goal to illustrate through my articles how a healthy diet is the number one key to a healthy life. I am intensely passionate about a high fruits and vegetable, moderate whole grains, nuts, seeds and lean protein well balanced diet. That is what we practice here at DAMY. Through this diet achieving a balance of healthy fats is easy and not something you ever have to think about. Below is a simple guide to choosing which foods to eat to restore your balance – but first – which ones should you be focusing on? Should I Take Omega 3 or 6? The reason this concept of omega 3 supplementation has become important is not only because of the fact that we consume as a population more omega 6 than 3. It is also because omega 6 and 3 compete in the body for many biochemical functions. Throwing your ratio off with diet does have consequences. Although it isn’t generally done we are now able to test levels of EPA and DHA in the blood. We are also able to assess for combined omega 3 and 6 deficiency. These tests are normally not done because of they may not give any extra information necessary to indicate the use of omegas or not. If you eat a certain way and display a combination of any of the symptoms below you may have an unfavourable ratio of omega 3 to 6. Thanks to the low risk of adverse effects of supplementation a trial of omegas is considered very safe and therefore testing to assess dietary intake may not be necessary. When should you consider increasing your omega 3 levels? Omega 3’s have a wide range of clinical uses. Research has shown them beneficial in many different conditions ranging from cardiovascular to dermatological to psychiatric. Cardiovascular – Omega 3 consumption has been shown to reduce the risk of coronary heart disease and atherosclerosis. They have also been shown to reduce high blood pressure. Dermatological – The use of omega 3 in eczema and psoriasis is well documented. Gastrointestinal – Omega 3s have been shown to be beneficial in Crohn’s disease and Ulcerative Colitis (two inflammatory bowel diseases). Neruological and Psychiatric – Omega 3s are used in migraines, MS, anxiety, depression and bipolar disorder. Rheumatological – Used in rheumatoid arthritis and lupus. When should you consider increasing your omega 6 levels? Omega 6 deficiency has symptoms of dry skin, dermatitis, hair loss in females, dry hair, brittle nails, increased thirst, poor wound healing and frequent urination. This symptom picture is a case where omega 6 supplementation may be considered. The main positive research behind omega 6 supplementation has shown its benefit in cases of eczema. GLA is another omega 6 and comes in highest concentrations from evening primrose oil, black currant seed oil and borage oil. It has been historically used in cases of breast pain associated with the menstrual cycle. Research has been conflicting but many cases and certain studies have shown benefit for its use. There have been many reports of other menstrual cycle benefits including reduced feelings of depression, irritability and swelling and bloating from fluid retention with the use of GLA from these sources. 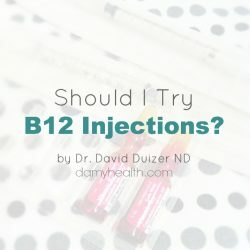 Because levels in our diet are so high in omega 6 extra supplementation is rarely indicated and a Naturopathic consultation is required before supplementation. Note: Omega 6 supplementation is contraindicated (harmful) in epilepsy and the manic phase of bipolar disorder. Which foods should I eat for each omega 3 and 6 content? Below you will find two lists, one with foods high in omega 3 and one with foods high in omega 6. These lists give examples of foods you can use to restore your ratio. Most of these foods contain both omega 3 and 6. It is their ratio that determines which list they are in. Foods better at raising the ratio of 3:6 are in the first list. Which foods are high in omega 3? This list has been divided into ALA and combined EPA and DHA. This is because the body needs to convert ALA into EPA and DHA to see benefit. This extra step can cause an issue and is discussed further below. You will notice that this list is all fish. They are the main source of EPA and DHA. Eggs, dairy products, meat and poultry can also contain EPA and DHA but at much lower levels and depend on what the animals have been fed. From these lists you can tell these are not foods we eat every day. Compare to the list below and you will see how our diets have shaped physiology. Which foods are high in omega 6? These are some of the main places. You can see that not only do we eat many of these foods on a daily basis but they are also found as additives in our processed foods. How can we find a balance through diet? Increase our omega 3 foods. Why is flax not the best source of omega 3? Flax seed is great for many reasons. It helps with bowel function, aids in the reduction of excess estrogen in the body and contains healthy omega 3s. The reason flaxseed oil is not the best source of omega 3 is because it is in the form of ALA. The body has to then convert the ALA to EPA and DHA to make the molecule useful as an anti-inflammatory to our skin, brain, digestive tract, etc. This conversion is not always successful. In fact our bodies are not great at achieving the conversion. When consuming fish or fish oil not only are you getting the EPA and DHA but your body can put it directly to work. No conversion necessary. Is Krill oil the best possible source of omega 3? A recent study has shown that Krill oil may have more bioavailable DHA and EPA than fish oil or cod liver oil. This means that the same benefit may be possible with a lower dose of EPA and DHA. Cod liver oil is another source of omega 3 but the quantity of EPA and DHA are much less than fish oil. I’m worried about heavy metal content in fish. Is that a concern in fish oil supplements? Heavy metal content (specifically mercury) is the main production concern with fish oil. Many reports are showing increasing mercury content in our fish but has that ever been identified in fish oil supplements? No – In the most recent independent reviews of popular over the counter fish oil supplements mercury levels have not reached the dangerous threshold of 10 parts per billion. A recent consumer report has however shown levels of PCB (polychlorinated biphenyls) to be high enough in 5 fish oil supplements to require warning labels in California. I am an advocate of professional line fish oil supplements and only recommend companies with adequate independent testing for heavy metals and PCBs (all environmental contaminants). Do your own research or consult with your ND for recommendations before choosing a brand. What are the negative side effects or adverse effects of fish oil? If you have tried fish oil liquid or capsules you may have noticed a fishy after taste. This is the most common concern with users. High doses may cause loose stool, diarrhea and belching. What dose should I use? I always recommend consulting with your Naturopathic Doctor for proper dosing. The doses successfully used in clinical trials depend on the clinical concern being treated. They also differ for which source you choose. Omega 3 supplementation is recommended for many different clinical concerns. In general it is anti-inflammatory and helpful for the skin, brain, digestive tract and heart. Restoring the ratio of omega 3 to 6 can be easy with supplementation and diet changes. 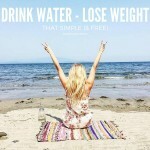 The benefits are clear and the changes can be easy. Substitute fish for other meats as much as possible, try flaxseed oil, reduce processed foods made with corn oil and soybeans. Try these simple changes and consider supplementation if you suffer from inflammation, the conditions listed above or if your physician recommends it. If this article resonated with you, if you found the info beneficial and if you are looking for more like it make sure to sign up to our weekly email newsletter. We send out all of our healthy dessert recipes, health and wellness articles, specials, discounts and contest info every week. You can sign up below, at the top of the blog or on the sidebar. Join the community and let us know what you would like more of!